"The strongest taping available on the spot"to introduce. please learn this taping technique. Beginning to learn Kinesio taping from the time of studying abroad. In 2006 I will start taping seminar activities, "I would like to tell you how to paste more effective taping than ever". Lecture for more than 100 people, totaling over 1000 people. 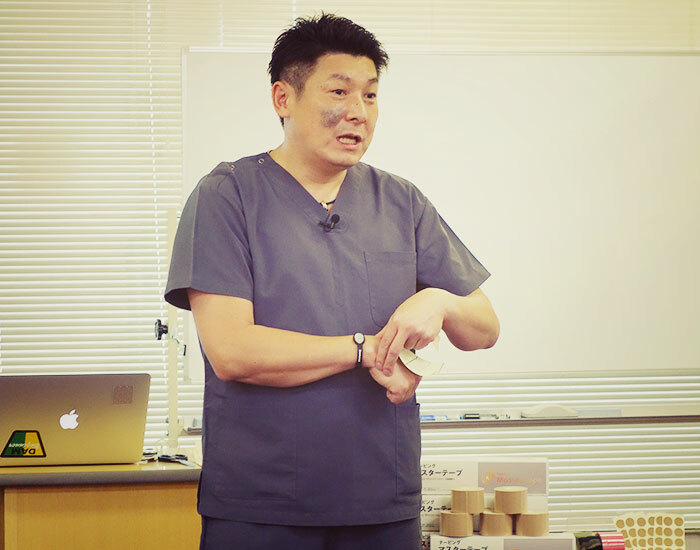 2009 Yomiuri Cultural Center sponsored "Taping lecture anyone can open"
Athletes can see their body firmly,I continue looking for a teacher who will manage it. Please learn this taping technique and help an athlete. Copyright © 2018 Seitai of Japan All Rights Reserved.